When I think of wild swimming in London, what springs to mind is Hampstead Ponds or The Serpentine. But soon people will be flocking to the SE London/Kent borders for a slice of the action. 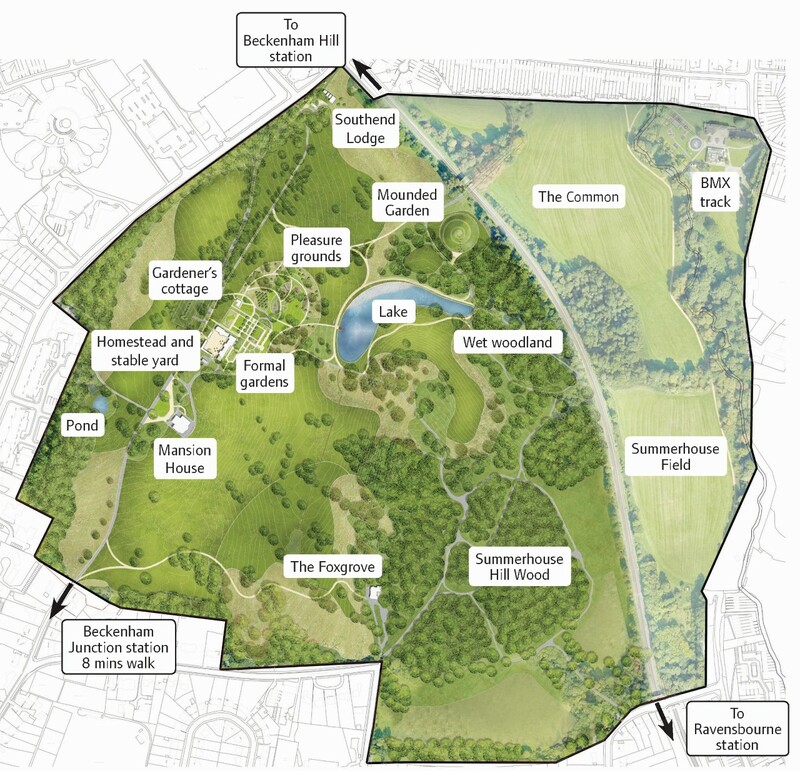 Thanks to a multi-million pound cash wedge from the National Lottery Heritage Fund and the Greater London Authority, the historic Beckenham Place Park, many of its listed buildings and former lake are being restored. 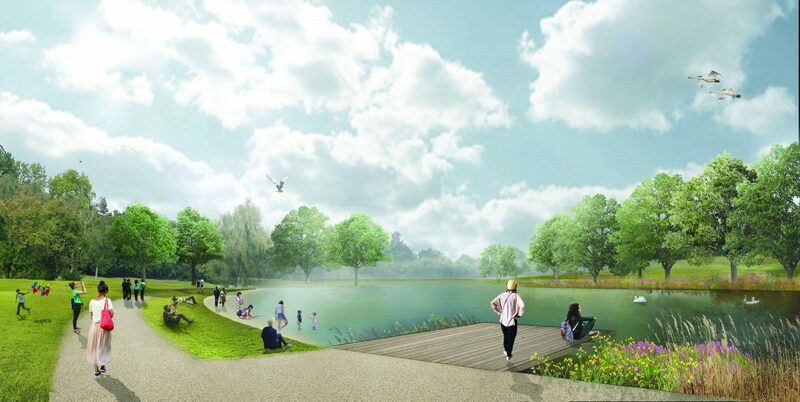 This summer will see the launch of a brand new café, education centre, play area and most excitingly – a large, man-made lake for wild swimming. Beckenham Place Park will always be special to me as my Dad used to take me when I was a kid. It felt like a vast undiscovered gem that no one else knew about. There was a hugely exciting rickety old zip wire, probably rigged up by kids, and it was very easy to get lost among the beautiful bluebell filled woods. It wasn’t until more recently, when I moved back to the area and started my own family, that I visited the park again. I remember thinking it was still beautiful but also somewhat neglected and underused. But there have been some positive changes to the mansion building and park in the past year as part of the first phase of the restoration works. Slick signage (from the same designers behind Copeland Park and the Bussey Building), an impressive events and activity roster and an improved BMX park have all helped to drive up visitor numbers. The closure of the golf course has also led to a big uptick in dog walkers who previously stayed away. I spoke to Councillor Chris Best, a fellow Sydenham resident who is personally involved in the park’s regeneration. She explained that this is a flagship project for London and Mayor Sadiq Khan is keeping a close eye on it. The hope is that the regeneration will increase usage of the park substantially – up to a million visitors to the park and 2-3 million to the mansion by 2021. The Council’s aim is that the park’s users also reflect the diversity of the surrounding areas. The park will receive a grand new entrance to match its history and facilities – with the restored Southend Lodge and Gate House creating an entrance for visitors coming in from Beckenham Hill Road. The new café/bar and education centre will be situated here, as well as new units available for commercial rent. It hasn’t been confirmed who’ll be running the new café, but the plan is for it to be very child friendly with a healthy menu. The best bit… the wild swimming lake! 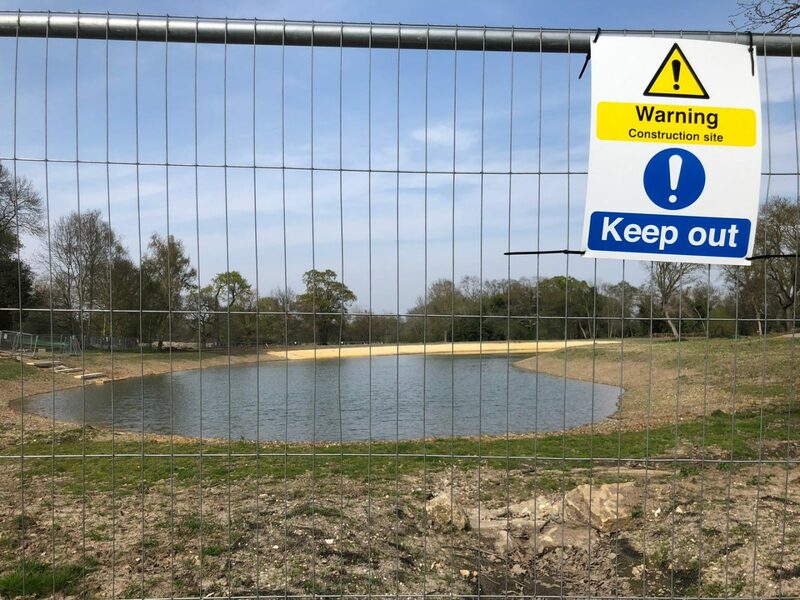 The new wild swimming lake will be in the same spot as the original lake that was created by John Cator, who owned and lived in the mansion in the late 1700s. There will be plenty of space to swim as it’s a big lake – 285m x 48m and 3.5m deep at its deepest point. There will be a shallow sloping area for people to paddle and to access the deeper water. The sloping area will be topped with sand to make it more pleasant underfoot. And there will be no need to book for a swim – people can just turn up. Kayaking and other water sports will also be on offer as well as wild swimming – these are yet to be confirmed but hopefully one or two water sports companies will take up residency. The official launch date is Saturday 20 July – when both the wild swimming lake and new café will be ready. There’s a whole raft of activities planned including live music, food stalls, Georgian dancing, storytelling, bouncy castles, face painting, tours and treasure hunts. As a user of the park, Chris has been excited to see the changes over the last year – and has enjoyed events such as the ‘So Last Vintage’ fairs in the grand mansion building, to concerts with live bands playing on the mansion’s balcony. Chris is also open about the fact that the project has its detractors, in particular regarding the ancient trees that were cut down as part of the regeneration. She says that trees had sprung up “higgedly piggeldy” in the location of the old lake. The plan from now on is to manage where the trees appear and thousands of new saplings have been planted. The new woodland management plan was written by an independent ecologist and approved by the Forestry Commission. You can read more about the Council’s tree management here. Near the formal gardens there will also be a new play area for kids. It’s called the pleasure grounds and will feature a cradle swing, diggers in sand and a climbing frame. What about the weird old pub? Chris also mentions future plans to tackle the unloved, derelict Foxgrove pub within the park. I have a fondness for the place as my Dad also used to take me there as a kid for a packet of cheese and onion crisps and a pineapple juice, while he had a Sunday pint. Chris hopes that they can secure the funding to turn the dilapidated building into a thriving arts venue – perhaps housing a resident theatre company. Beckenham Place Park will always have a special place in my heart, and I have to admit the fact it was somewhat underused was part of its charm. You could wander in the woods and see very few, if any, other people – very rare in this area. But there’s no doubt that the dramatic changes heading the park’s way will transform it into a family paradise and a key destination, not just for locals but anyone in London and Kent looking for a brilliant day out. If you enjoyed this post, you might also like to read my blog about Dragonfly yoga, the new not for profit yoga studio in Sydenham which aims to help young athletes. Great article thank you. I agree on the “underused” being part of the charm of the park, but it is really exciting to have the park regenerated. I can’t wait for it to be finished. Just a shame that the walk to the park for people coming by public transport from Beckenham Junction (with train and tram links) is along a very busy road with a couple of dangerous side road crossings with no zebra or lights. Hopefully this will also be addressed. Thanks for reading. I know, I can’t wait! Wow this looks amazing. If we lived closer we’d be sure to check it out!